FIGHT TIME! S7 X SECRET BASE IN STOCK! Go toe-to-toe with a modern classic of Japanese Sofubi as SUPER7 teams up with SECRET BASE to create the ZOMBIEFIGHTER and GHOSTFIGHTER! 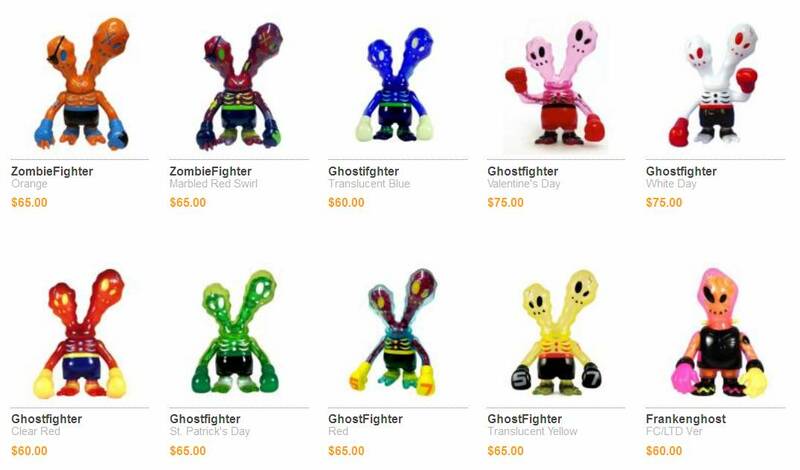 These 5.5” tall Fight Figures are offered in a variety of Limited Edition colorways, many with translucent parts and some even contain inserts (the version shown above actually had an inner plush “skeleton”). If you have yet put one of the ‘Fighters on your shelf, this is a knockout way to start your collection! NEW YEARS SURPRISE RELEASE! COSMIC ROSE VAMPIRE DX!